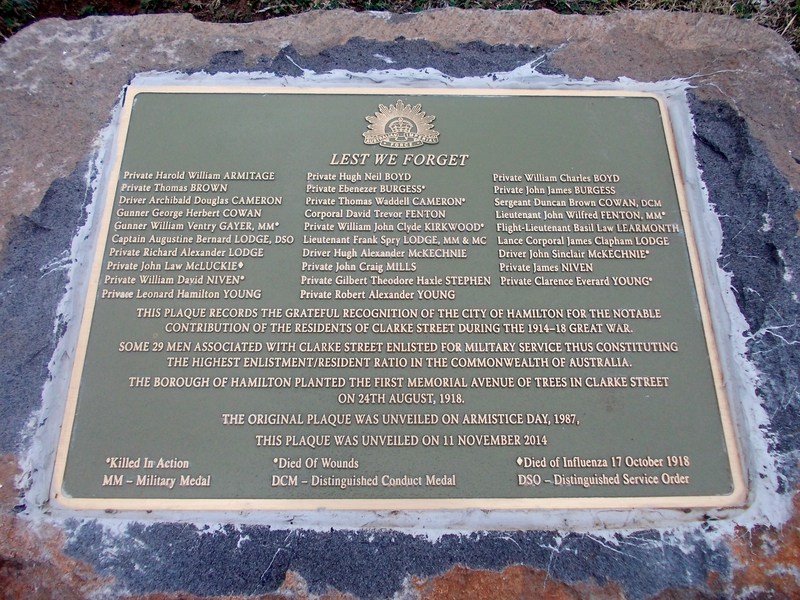 On the afternoon of Saturday 24 August 1918, a sombre gathering in Clarke Street, Hamilton saw the planting of Sycamore trees to honour the men from that street who had enlisted to serve during WW1. 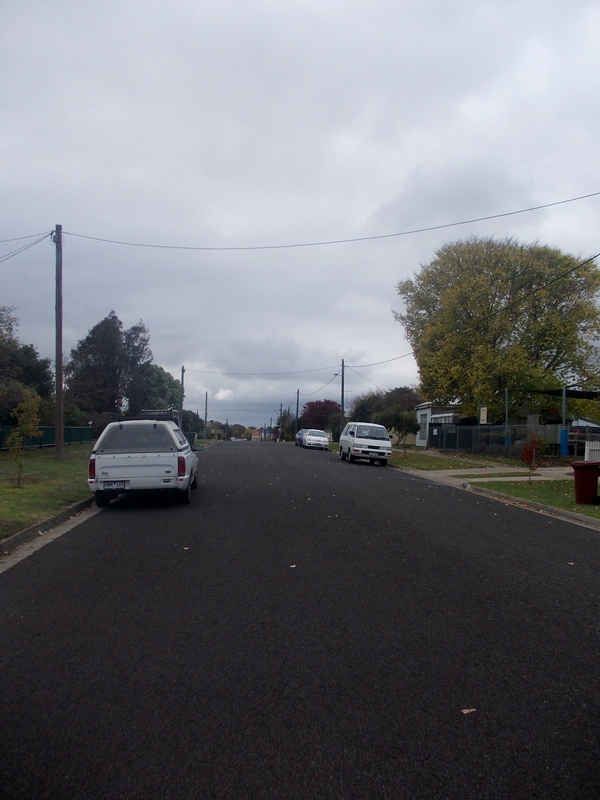 Clarke Street is a small residential street close to the Hamilton CBD and is like many others across Australia. However, it stands out from the others because of the number of WW1 enlistments that came from the street. On that day in 1918, as reported in the Hamilton Spectator of 27 August 1918, the Mayor Cr. Robert McLuckie, the father of tree recipient, John Law McLuckie said it was unlikely “any street in any town in the Western district had sent so many men to the war in proportion to its length as Clarke Street.” Less than two months later, John Law McLuckie died of influenza in England. The trees were numbered and those in attendance were given a souvenir including tree numbers, the corresponding soldier’s name, and the name of the person who planted each tree. Wreaths were attached to trees planted for soldiers who had died. The report of the event was published in the Hamilton Spectator of 27 August 1918. Included was a full list of tree recipients and those who planted the trees. 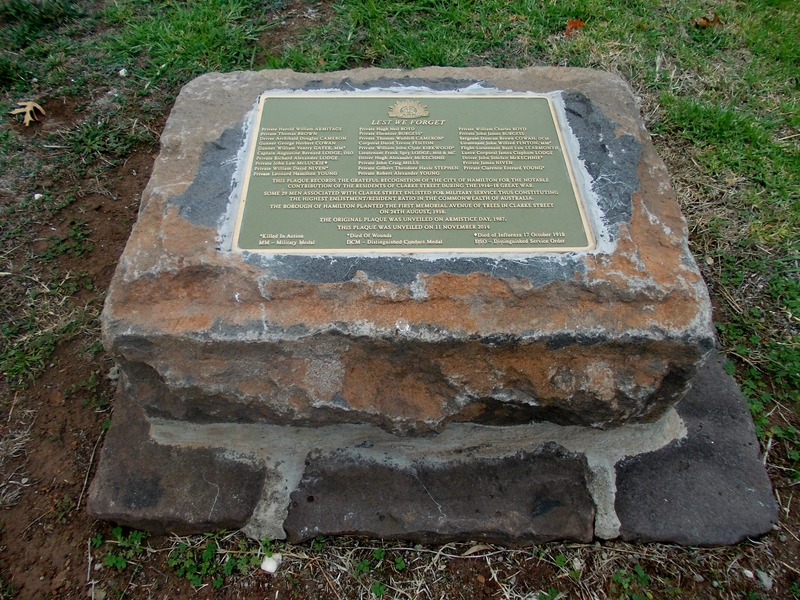 On 11 November 1987, a commemorative plaque (plaque) was unveiled in Clarke Street to recognise the planting in 1918.